We’re celebrating the Holidays with Top 5’s and what better way to close it out than with the Top 5 snow levels. Just about every game made has one and with a myriad of levels/worlds/zones to choose from it was quite a task to narrow it down to just 5. 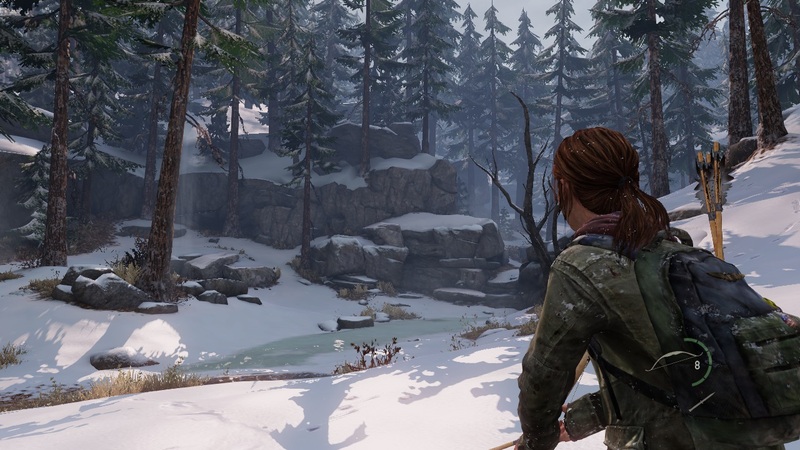 From one of the best modern stories in video games the chapter ‘Winter’ is exactly what it sounds like; A hilly forest on the edge of a small town. This town reminded me of a ski village with a chalet on a frozen lake. The disjunction of this chapter is highlighted by calm hiking through the forest on a quiet winter’s morning followed by panicked running through a blizzard to avoid some crazy locals. All of this with time and odds against her, this is also the chapter that you see Ellie really come into her own. Although less of a level and more of a town the starting city of Narshe sets the tone for one of the most beloved and iconic games in the Final Fantasy series. 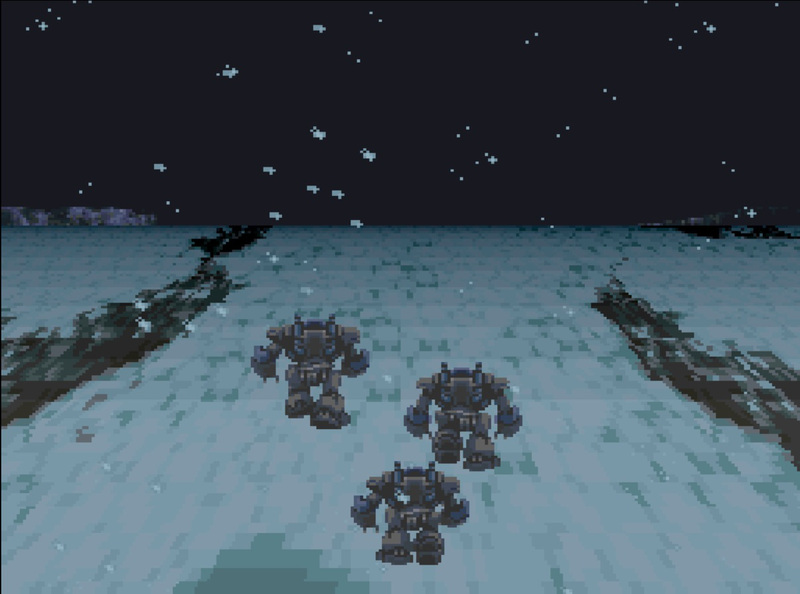 I still remember the feelings I got when seeing the Magitek armor suits walking through the snowdrifts while the main theme played. The game comes full circle later when you return to Narshe for your first face off with Kefka, and Terra first discovers her true power. It always amazed me that this mundane, steampunkish village on the side of a snowy mountain was so pivotal to the storyline as the game unfolds. 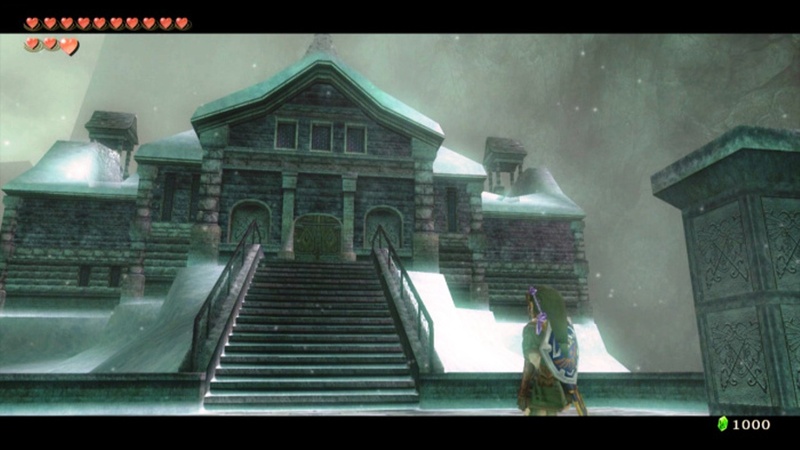 A frosty haunted mansion atop a mountain overlooking Hyrule sets this level apart from the rest of the game. Its frozen halls and icy courtyards are crawling with spear wielding ice elementals, snow wolves, bats, block puzzles, and hidden treasures under the snow. It’s also home to one of the more unique (by use at least) weapons in the game the ‘Ball and Chain’. Spinning the ball and flinging it to defeat enemies, destroy ice barriers, and even to move swinging platforms allows you to move about the mansion with ease. 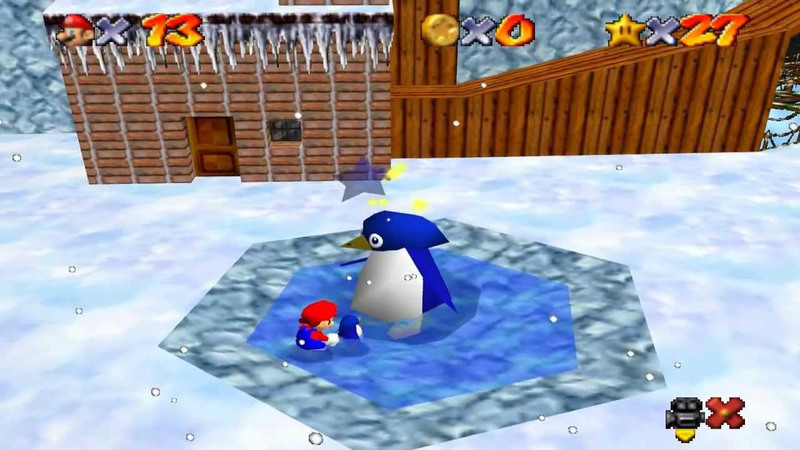 Nothing screams snow and ice more than penguins. So what do you get when you’re pitted against Dr. Wily’s crazy robot maverick penguin; enter Chill Penguin stage. With robo-rabbits who jump right when you’re trying to cross gaps, to snowball rolling/flinging bots this level has it all. Even an ice cave which you can slip and slide your way towards the boss room. Though not the toughest boss I still remember seeing the death screen more times than I care to admit from his freeze/belly slide combo. 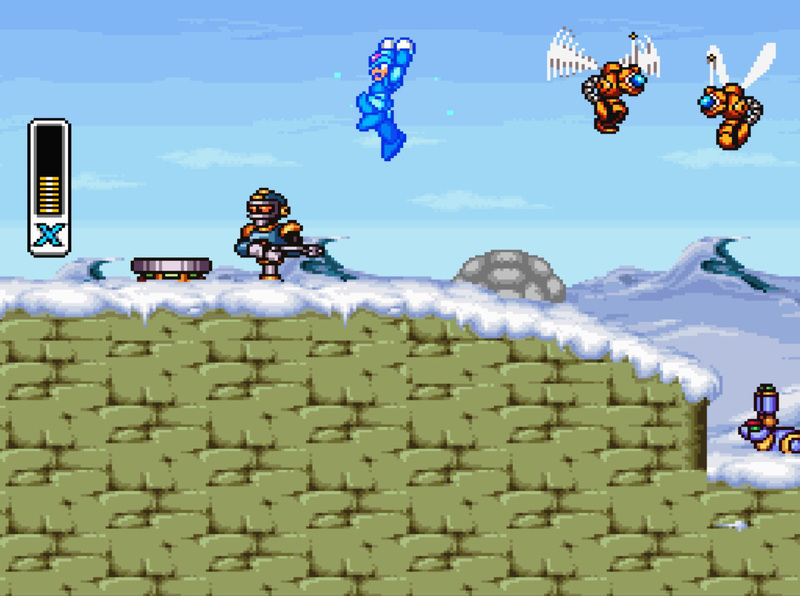 If robo-penguins aren’t enough for you, how about actual penguins in ‘Cool, Cool Mountain’. This is the epitome of snow levels with its steep icy paths all spiraling around a snow capped mountain. Falling from these paths would spell certain death in most games but instead you’re given a Mario level of comedy getting your head stuck in the snow for a few moments. On top of this, bouncing snowmen, ski lifts, and even luge racing a giant penguin down an indoor track are some of the things that make this winter wonderland complete. December 25, 2016 in Josh Pang, Top 5.